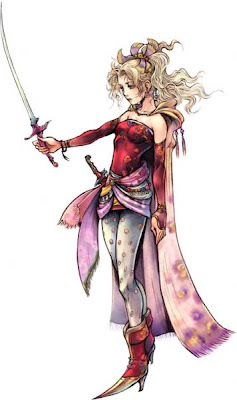 First: Final Fantasy VI's Terra. 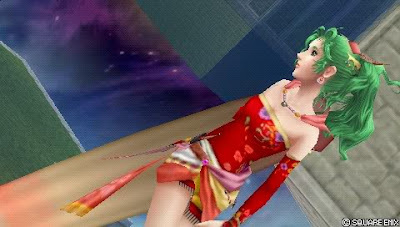 Terra is the first female protagonist in Final Fantasy. She was born in the land of Espers, and soon after she was born, they were invaded, her father captured, her mother dead, and she was taken into custody by the Gesthalian Empire. She was raised to be a weapon, and Kefka, the emperor, made her use a Slave Crown, to force her to obey him. In a mission to Espers, trouble happens, and Terra ends up unconscious and with amnesia. Kefka goes after her and her rescuers, but they escape. 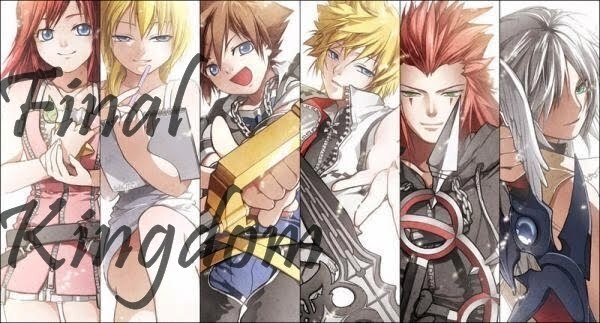 They find a group of resistance, and Terra joins it. The Empire attacks Esper, and the defensors, Terra included, wins. but the magic of Esper makes her turn into a Esper herself, and she flies away. She is reunited with her father, and so recovers her memory and the ability to control her transformation. A war happens, and she acts as a messenger between the Espers and the humans. In the end, they seemed to have won, but Kefka kills all the Espers there, and Leo. A year later, in the final battle, she turns into a Esper and helps the party. Her Esper part dies, but she is allowed to live on as a human. Terra is one of the apprentices of Eraqus, along with Aqua and Ventus. At the start of the game, he took a test alongside Aqua to turn in to keyblade master, but only she achieved it. 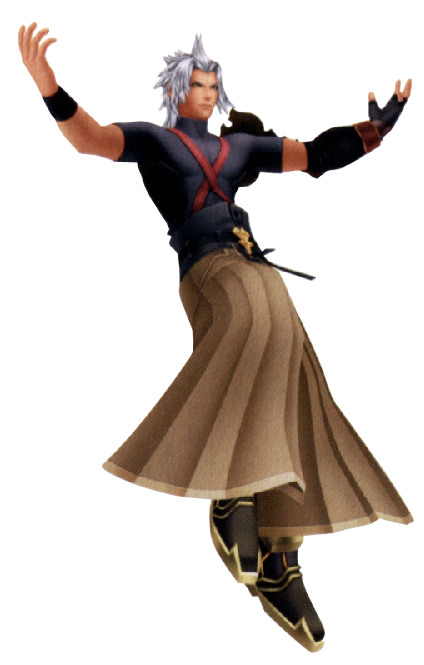 He is very simmilar to Riku, as later in the game he is influencced by master Xehanort, and lets the darkness controls him, betraying his friends, and even helping to steal Sleeping beauty's heart. In one of his travels, he meets with Riku in destiny islands. He ends up killing his master while controlled by Xehanort. In the end, in the final battle, he is possesed by the evil master, and his hair turns to white. His new appearance is very similar to Xemnas and Ansem, KH I and II bosses, since they are originated from him. Terra is about to fall into the darkness, but Aqua helps him, and he fights back, Aqua falling insted. 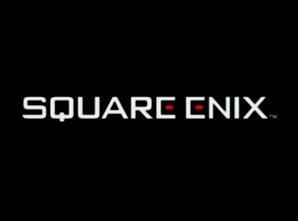 As a result, he loses his memory, and ends up at radiand Gardens, where he becomes the real Ansem's apprentice, and meets with some of the ones that will become nobodies at the organization later, like Zexion and Vexen. Right: Terra with his armor. Left: without it. Below, possessed by Xehanort. Marcadores: Birth by Sleep, Characters, Final Fantasy VI, Terra, Terra (FF).